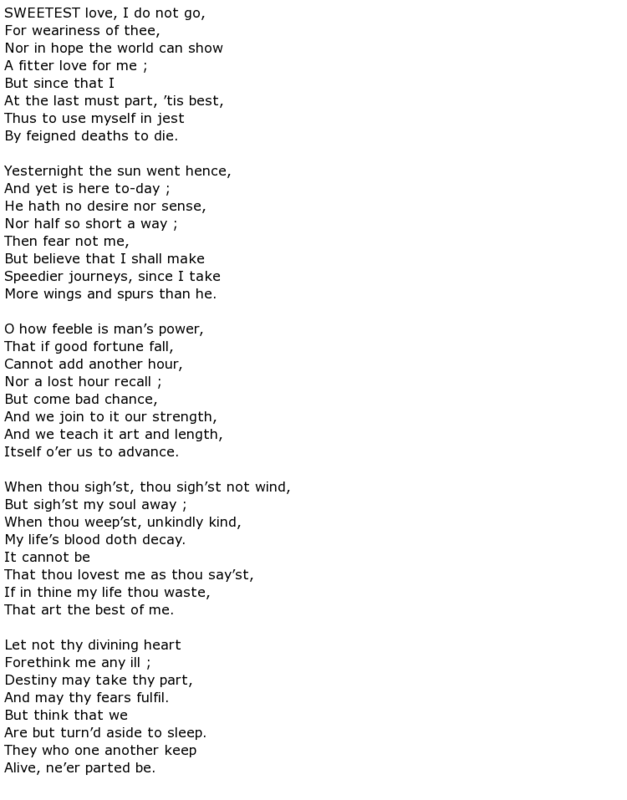 Holy Sonnet IV: Oh my black soul! Holy Sonnet XII: Why Are We By All Creatures Waited On? 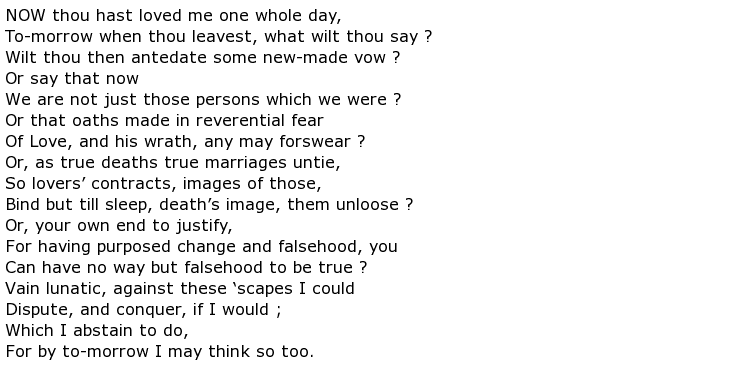 Holy Sonnet XIII: What If This Present Were The World's Last Night? 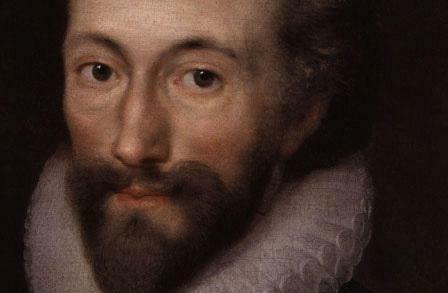 John Donne’s poetry has transcended both time and language, speaking to readers across ages and continents, as fresh and meaningful today as it was when written. 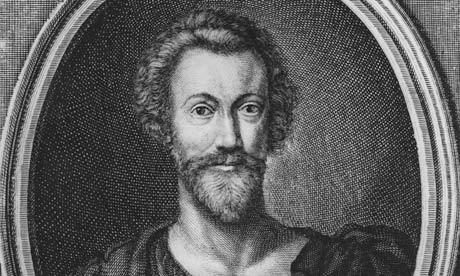 John Donne’s life was as interesting and controversial as his poetry. 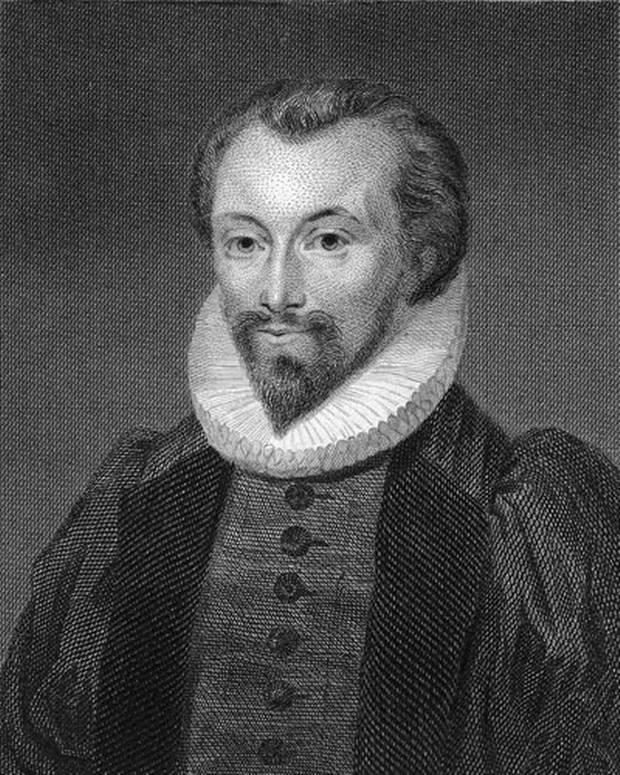 Born in London in 1572 to a well-to-do Catholic family at a time when Catholicism was unpopular in England, John Donne, along with his siblings, was raised by his mother, Elizabeth, after his father died in 1576. Education was a central aspect of Donne’s life. He was enrolled at the University of Oxford at 11, then at the University of Cambridge, although he took no degree. 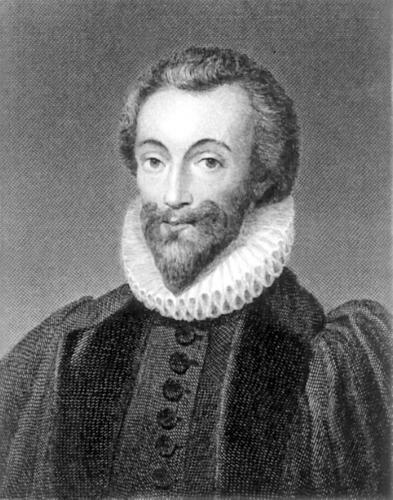 Donne’s first book of poetry, Satires was written after his brother Henry died in prison, charged with giving sanctuary to a Catholic priest. 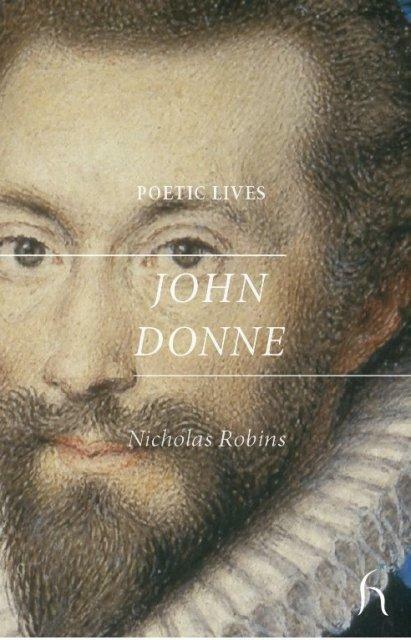 Not surprisingly, the poems reflect Donne’s questioning of his own faith. 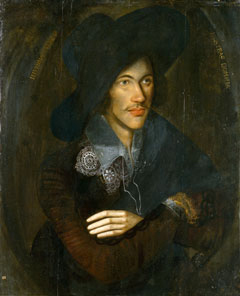 Shortly thereafter, he published book of love poems, Songs and Sonnets, which began to cement his reputation, not to mention earn him notoriety; the explicit sexual nature of the poems in Songs and Sonnets was almost unheard of at the time. 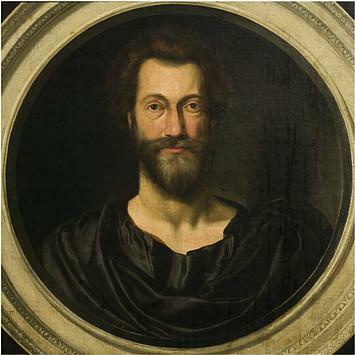 Donne was not, however, content to rest upon his laurels, or his career as a poet, instead turning adventurer, joining expeditions to both Spain and the Azores. After he returned to England, he secured appointment as secretary to Lord Ellesmere. 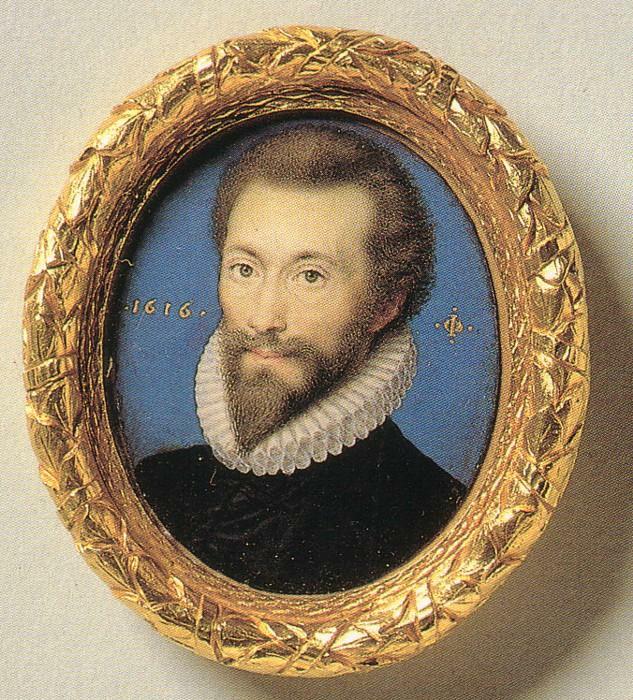 His career in politics seemingly secured, Donne destroyed his political aspirations when, in 1601, he eloped with 17-year-old Anne More, the daughter of Sir George More, Lieutenant of the Tower of London, and found himself in disgrace. Donne’s unhappy father-in-law had the new husband imprisoned for a time, and the scandal destroyed any hope for Donne’s professional career. Donne’s fortunes turned considerably. He now had to support a family that would grow to include seven children. Although friends helped the Donnes, and he practiced law, poverty was inevitable. The changed circumstances did not deter his writing; he continued to write both poetry and polemic. 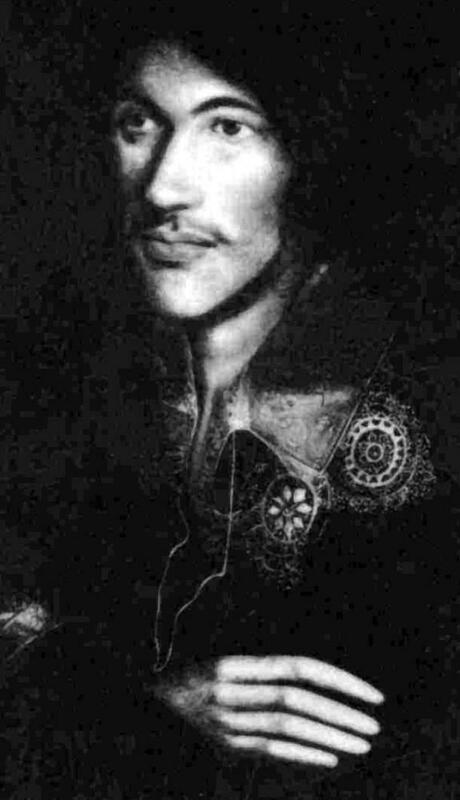 Despite his reputation as a rakehell in his younger days, Donne became increasingly concerned with the spiritual as he grew older. 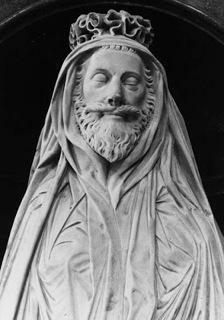 He renounced the Catholic faith in his writings, which won him both patronage and the favor of King James I. This favor was not without strings – the King persuaded him to the point of blackmail to take Anglican orders and become a Royal Chaplain. 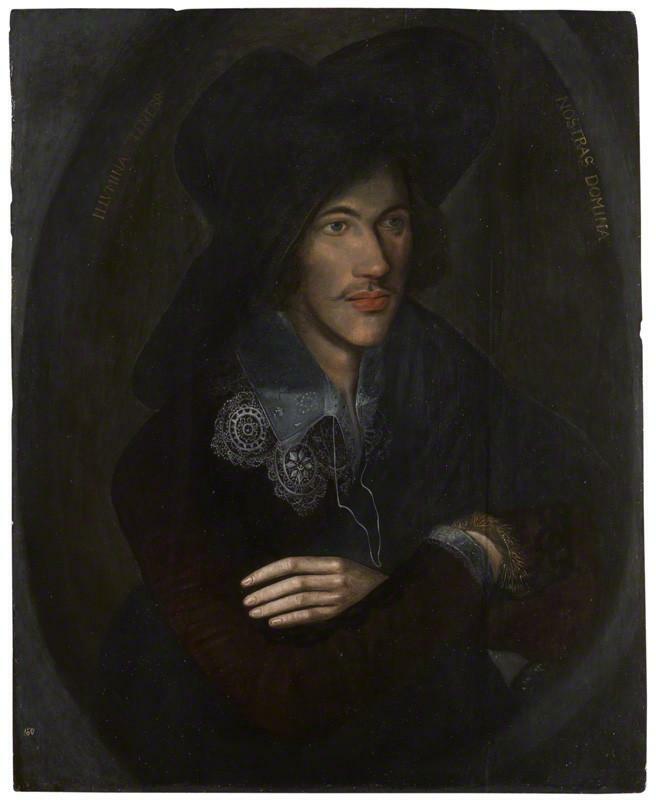 Ironically, it was his sermons that gave Donne his greatest fame.